CARiD is back with a new hot promo on wheels! 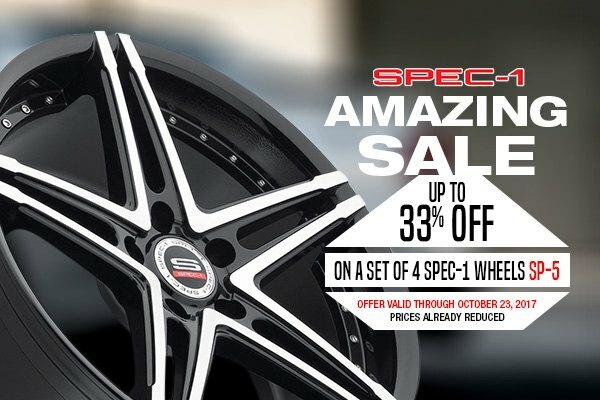 Purchase a set of 4 SPEC-1 wheels SP-5 and SAVE up to 33%. This offer is valid through October 23, 2017. Also you can purchase a set of 4 SPEC-1 wheels SPM-80 SAVE $130. This offer is valid through October 13, 2017. Spec-1 SP-5 wheels will give your Honda Accord a whole new look! - Available in sizes from 17 to 20 inches. 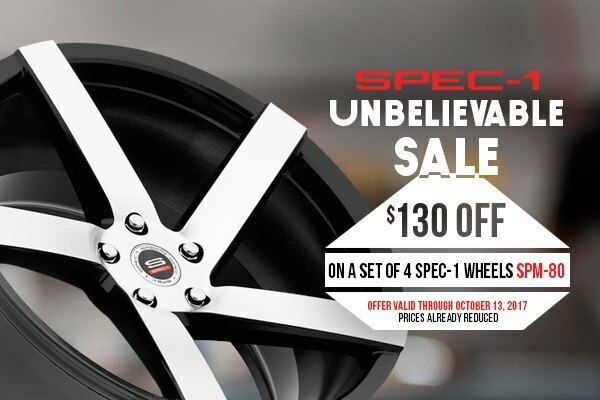 To browse complete selection of Spec-1 Wheels click on this link https://www.carid.com/spec-1-wheels/. Buy these cutting-edge wheels today and enjoy the new, unmatched style of your Honda Accord! Quick Reply: New look for your Accord with Spec-1 Wheels + Sale!